The majority of road racers that hail from Northern Ireland share one burning ambition – competing at the Isle of Man TT. Gareth Keys is no different. Having risen through the ranks on the Irish short circuits, the 24-year old turned to road racing full-time in 2013. Two years on and Keys is preparing for his first competitive visit to the Island. A winter’s worth of financial and logistical planning has gone into his TT debut and Keys is fully motivated for his appearances in the Supersport and Supertwin classes. Speaking to Paddock Chatter, Gareth opens up about his busy offseason, the never-ending search for extra sponsorship and the preparation that goes into learning the 37.7-mile TT course. What is your machine situation like at the moment? We’ve only got two bikes. We bought the Kawasaki 650 some weeks ago. We got the fairings painted so it’s sitting there all ready to go. We got the engine for the 600 coming back so we’ll get that built up. We’re just trying to get sponsors and a couple of pounds in now, which we’re struggling with. This is a 600 that you have some experience with. It’s a CBR600 Honda. I rode it last year. I sold the BMW before the [Ulster] Grand Prix because I got this opportunity with Brian and Wendy Hull to ride their 600. I rode it for the first time at Armoy and loved it. It handles like a dream. I was keeping up with Stephen Thompson on their BMWs on a 600 so I was happy with that and Brian and Wendy were happy for me to ride it after that. I don’t think we really need to touch much of the 600. It’s the 650 that we need time on. We’ll see what happens with testing. A lot of the boys go to Spain but we’ll be nipping to Kirkistown or somewhere [nearby]. 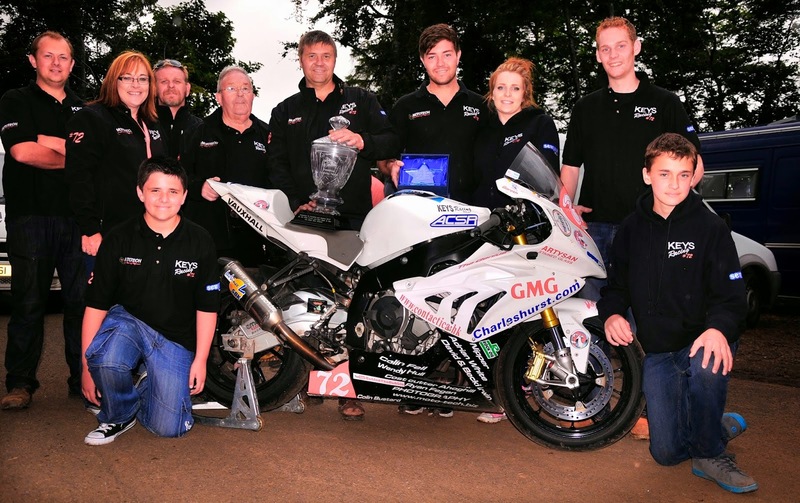 When you spoke to us last year you said that your ultimate aim was to compete at the TT. Do you feel the time is now right to make your island debut? For me personally we’ve been building towards it for two or three years. I applied for it last year and because I started at the smaller road races – the likes of the Cookstown and Tandragee – I thought that I’d get a full year under my belt before I went on to something like this. A lot of the lads [newcomers] were coming over from British Superbike rounds, who had never been to a road race in their lives, and they were jumping straight into the TT. Personally I wouldn’t want to do that. The opportunity came up with Brian and Wendy on a real good bike. Paul Phillips said that he would take me on as a newcomer this year. It’s very hard to get apparently so I was happy with that. I’m not sure whether Keith Amor had a word with him or [whether it was] Brian Hull. Brian said to me that Paul would be happy for me to come on. I texted Paul and he said that he’d be more than happy to work with me. I started off planning it and everything was moving a bit slow but from November on it’s been mental. Planning and getting everything put together since Christmas has been hard. It’s hard explaining just how much time goes into it. It’s kept me busy over the winter anyway. You have been over to the Isle of Man to find your way around the track. What were your first impressions of the track? I went over before Christmas and that was my first time on the Isle of Man, believe it or not. We went over and I thought I didn’t want to go completely blind. We got twelve or thirteen laps done in two days. It wasn’t too bad but it takes an hour to get round in the car. Last weekend I flew over to meet [Richard] ‘Milky’ Quayle and he brought me round. It was a wee bit daunting, I didn’t know what to make of it because I was driving round by myself and I just thought, ‘How am I going to learn all of this?’ With Milky he stopped at every major corner and explained the braking markers and what line to be on, where the bumps where…most of it came to me then. He gave me a DVD with commentary and as soon as I came home I got onto it and it was a lot clearer. We need to get some spare engines, bodywork and sponsors as well. Have you got something together for accommodation for the two weeks? I’m quite lucky. The club are putting me, the family and mechanics all up. I don’t know where I’m going yet but I don’t care. It could be a tent for all I care – I just want to get out on track. I imagine there is quite a difference between onboard footage and seeing the course in person. Watching onboard laps is dead on but you don’t see anything. When you’re driving round you can see the wee silly things; lampposts for peel in points, a painted rock for a braking marker, the bumps. You can’t pick them things out from the onboard footage. Is the plan to compete in just the two classes at the moment? I’ll take the 600 and the Supertwin. We were actually offered a BMW 1000 Superbike for it but for my first time there I wouldn’t feel comfortable. I feel better on a 600, something a wee bit slower. I think the 600 and the 650 will help each other out. I’ll get off the 600 and the 650 will feel like a wee toy. When I get of the 650 and onto the 600 I’ll hopefully be able to wrestle it about. They’ll work with each other hopefully. If you get on a Superbike you’re just holding on as a passenger. Brian Hull has experience with running the likes of Keith Amor in the past. How do you find working with him? Brian has been helping Keith for the past few years, before he retired and when he made his comeback. He basically ran Keith last year. I don’t think they were Brian’s bikes but he was managing things. He’s a gentleman though, if you want to do something he’ll do it. I’m treating him as a manager. I wouldn’t know so much about suspension. He’s been a mechanic for years and he knows what he’s doing. I just do what I’m told. He’s a big help. I explain what the bike’s doing and he knows what to do. He’s a good man to help you out. What are your plans before the TT? Will you manage to squeeze in some preseason testing? If we do decide to go to Kirkistown it might be too cold for our Dunlop tyres. We might just jump straight into racing at Scarborough. We’ll probably do the first one [meeting] then the Cookstown and the Tandragee with both bikes. Your dad has been a big influence in your career. What was his reaction when you told him you had entered this year’s TT? Last year I said I was doing it and he said, ‘Absolutely no chance.’ But this year I’m riding for Brian. We’ve known him for years since I was in a pram. 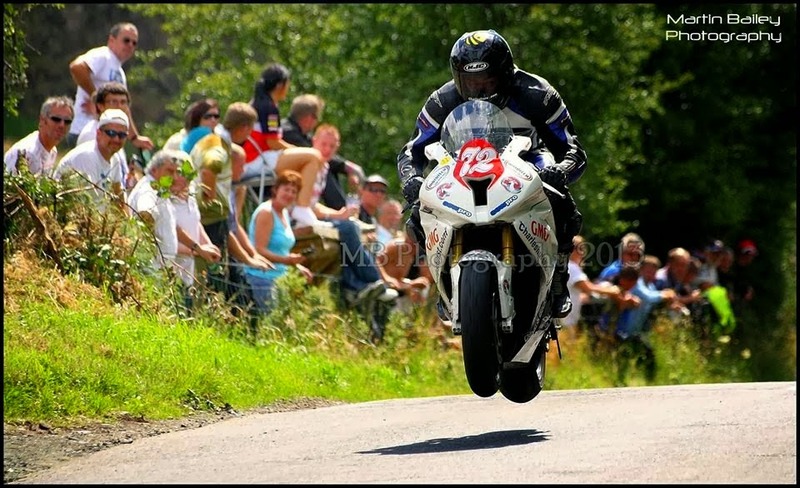 Brian has been about at the road races for as long as my dad has. He’s happy that I’m riding for him because we know him. He knows he won’t be messing me about with money and he’ll look after me. He’s got a good bike and he knows what he’s doing. I think he feels a wee bit safer with me doing it now, knowing the machinery I have. I said to him at the end of last year that I was thinking of doing the TT. He went away and thought about it for a few hours and said, ‘Go on ahead.’ He’s looking forward to it now. What are your expectations at the moment? Just going there to enjoy it and take as much in as possible. That’s why I have two bikes. If I just had a 600 I wouldn’t be going. With the 650 we have two bikes and could learn a bit more. I’ll get more track time and will learn as much as I can. Maybe a few years time I can go out and stop wasting tyres and fuel and go for it! I’d love to get a few good, consistent finishes. I don’t want to be going out and putting in a fast-ish lap and then going slower [in the race]. I want to build up to it. Have you altered or changed your training at all through the winter? A gym has opened up opposite my work so I go across in the morning. I’m doing spinning classes. I’m doing less reps and more weights as I try to get my endurance levels up. It is tough. Sometimes I couldn’t be bothered getting out of bed. Then I think to myself, ‘It’s the TT. Get up and go!’ It’s tough. You don’t get a break at all. It’s not like the North West. It’s really hard on you. I’ve been out on motocross bikes as well. Ray Timbercraft, they’ve given me a motocross bike throughout the winter. I don’t know how the motocross boys do it all the time. You have to be super fit. I thought that would be good for training my bike muscles. You have to teach your muscles what you’re going to be doing. Previous Previous post: WSBK Phillip Island: Old Dogs, New Teams.